I don't buy socks—I get a pack from my parents on Christmas Day, so I've got to make sure they last all year. Other than losing them mysteriously in the dryer, the biggest threat to my limited sock collection is a stretched out cuff. Nothing's more frustrating than a loose sock sliding down into your shoe. Just look at those socks, they're crying out for help! 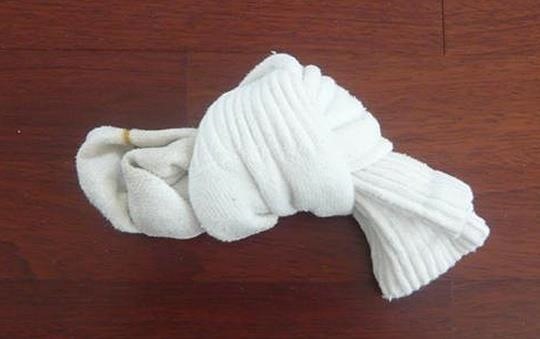 There's a reason why clothing companies don't package their socks like this—it ruins them! This technique works best with ankle socks, but it can also work on regular ones. 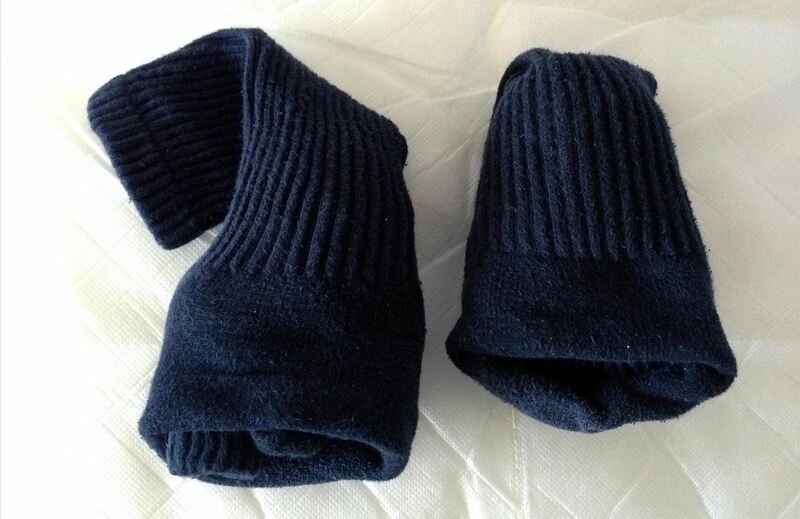 You can shove one whole sock into the other's foot area, and the other sock's cuff can be tucked away neatly behind it. But I found the tuck is much neater in the sock drawer than the twist. If for some reason your socks still aren't living up to expectations, don't toss 'em—there are many good reasons why you shouldn't throw out old socks. The best site so far to solving the problem of stretching socks due to the folding techniques. The article said that this technique would work with regular full size socks. I tried it with a full size sock and it took quite a while. 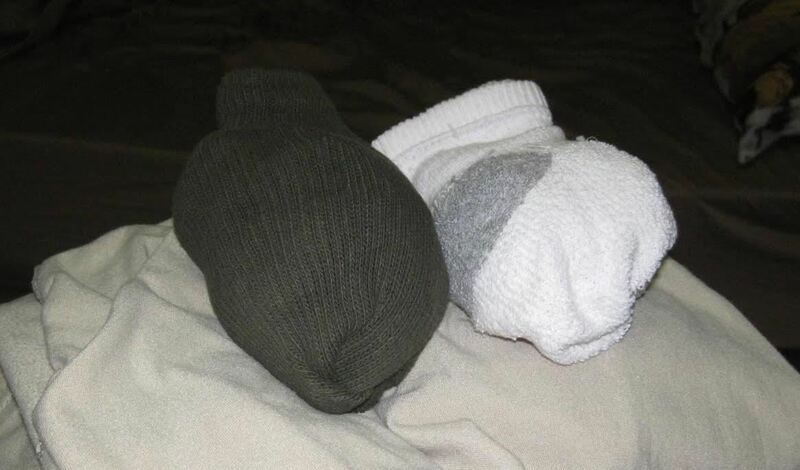 It made me wonder if instead of not stretching the top of the socks whether the entire sock was stretched. Also, I have to wear knee compression stockings due to circulation problems. I have not tried it with the knee high socks yet, but I wonder if it would work. Would this technique work with knee compression socks?